Great hotel, situated to the seafront with his infinity pool!. Quiet hotel because it is adult only. Im from Belgium and we can book this hotel by Tui, what means that is too expensive for what it is. Thanks Quierohotel they give a very correct price!. This hotel is located in Tenerife, close to El Duque Beach, and a selection of shops. 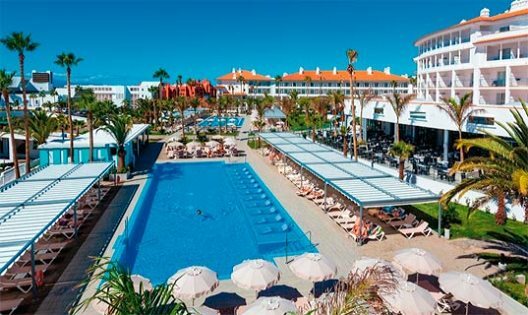 The hotel is perfect to enjoy the warm weather, since it has two swimming pools and bars where guests can relax on the terrace while having a drink, tasting the gastronomic variety of the restaurant's buffet, or just enjoying the shows and live music. This destination has many breathtaking sights like the National Park of Teide, The Corona Forestal, Los Gigantes Cliffs and the Loro Parque in Puerto de la Cruz. Air Conditioning, TV, Telephone, Hairdryer, Mini-bar, Music Channels, Safety Box, TERRACE*, BALCONY.